For those who do not consider themselves as good or capable as those around them, who expect failure, who feel that they will never be a success, an so do not venture or make a strong enough attempt to succeed. 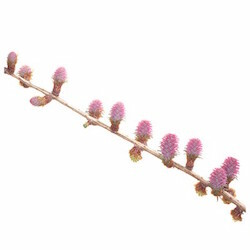 Ingredients: ACTIVE: 5x dilution of Larix decidua HPUS. INACTIVE: 27% alcohol.